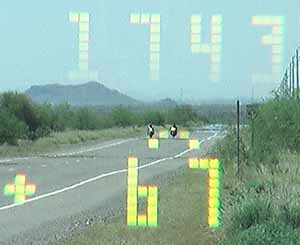 Laser clocks a motorcycle going 67 mph at 1,743 feet. Police lasers clock speeds by bouncing an invisible light beam off the target. But like police radar, sometimes they get confused. 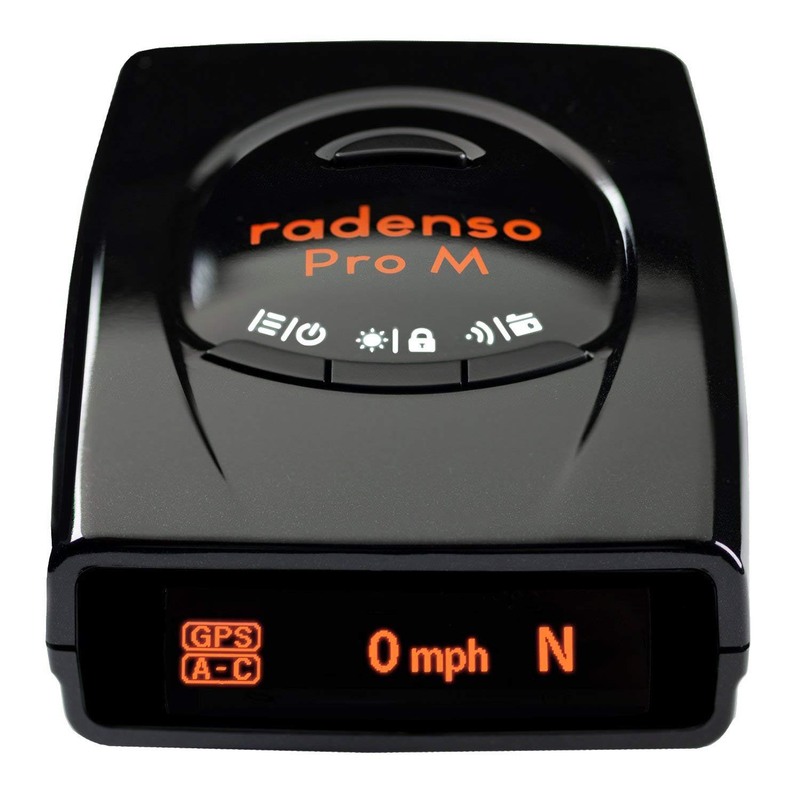 If the return signal is weak, the laser needs more time to calculate a speed, decreasing its range. Veil ($97.95 MSRP) uses this to its advantage. 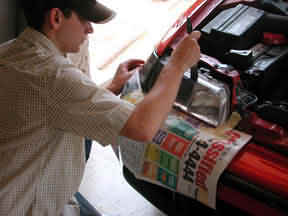 Veil is a translucent greyish liquid applied to the laser's favorite targets on a vehicle, the highly reflective license plate, headlights, fog lights, turn signal lights and any vertical brightwork. We have no idea what's in this witch's brew and after having worked on getting the formula exactly right for many years, its inventor is understandably reluctant to volunteer the information. We don't blame him. And frankly, we really don't care. Our only question is: Does it work? Veil isn't claimed to make a vehicle disappear from lasers: it's intended to reduce the effective range of a laser, giving a driver extra time to react. The manufacturer also touts Veil's potential to enhance the effectiveness of a laser jammer. We've rarely seen a laser jammer that can't be defeated; at very close range the pinpoint laser beam often can shoot past a jammer and get a speed. But a jammer can fend off a laser long enough for a driver to react. Steady hands and some care are required to apply Veil. If the officer has no luck targeting the front license plate or grille area, within a few seconds he'll likely shift his aim. Usually it'll be a headlight, a terrific target for both radar and lasers. But if no headlight is available—Corvettes, for example, had retractable headlights for years, making them exceptionally poor targets—and if the vehicle has no front license plate, this process can take awhile. And like with a jammer, a Veil-protected vehicle exploits this phenomenon and gives the driver extra time. We've tested dozens of products over the years that promised to defeat lasers, including another liquid anti-laser coating. None worked. So we were frankly skeptical about Veil's claims. But after spending three days testing it on different cars and against different lasers, we can offer some conclusions. We found that if you've got a highly reflective front plate (California's is one of the best laser targets; Virginia, Michigan, Illinois and others with light, highly reflective colors work almost as well) you'll have to cover it with a very darkly-Veil-coated plastic cover. Even with every light Veil-coated, an unprotected plate is all the laser needs to get a speed. We also found that in states where front plates aren't required, coating an officer's second-favorite target—the headlights—with Veil clearly makes the laser's job tougher. Having applied the anti-laser coating to several vehicles in before/after tests, we can verify that Veil indeed reduces a laser's maximum target-capture range. There's no promise of immunity to lasers. But—particularly when used with a quality laser jammer—Veil can give valuable extra time to react to a laser ambush.